Stores and Shops on websites or e-commerce include any form of business transaction that encompasses the purchasing products, downloads or services online. It can be consumer based retail sites, auction sites, and classified listings. Stores and shops can sell digital downloads of documents, apps, videos, and eBooks. Online shopping is the largest growing sector of the internet. 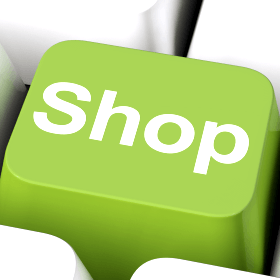 E-commerce gives consumers the ability to electronically purchase goods and services through online stores and shops. Selling digital downloads is a great way to sell digital goods on auto-pilot with little work once the shop is set up. What is needed to create online stores and shops? 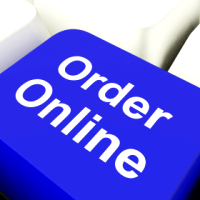 In order to sell online, you will need a shopping cart software system installed on your website. You will also need a payment gateway to collect orders and money from the customer. The safest way to do this is to use PayPal, which is a payment system that most people are familiar with and trust. There are numerous types of software available to set up online stores and shops, but mainstream shopping systems are both cost-effective and easy for maintaining online stores and shops. E-commerce can be a very profitable venture if you have a unique product that there is a demand for. The competition for items like clothing and electronics are so great, you would not be able to compete in the search engines to drive traffic to your website and the cost of online ads would be too expensive to make it cost effective. PayPal is considered to be an all-in-one payment gateway solution because it processes your transactions on their secure servers. This saves you the cost of setting up secure servers and encryption software. PayPal can accept all major credit cards without your customers having the need to open an account with them. WooCommerce is the most popular shopping cart system for online stores and shops. It is integrated into your website and allows you to add or remove products, control price, and inventory, and offer coupon codes. Woocommerce is a free program. However, there is a fee to set it up, along with any shipping settings that may be needed. You may also need some special features which would require premium plugins that have costs associated with them. We use WooCommerce because of its ease of use and integration with WordPress. It is the most widely used shopping cart system currently being used and we can train you on how to manage it.